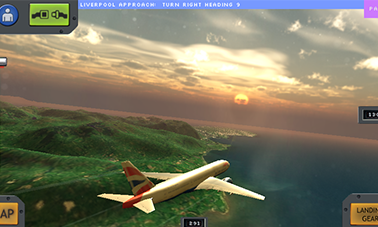 Flight World is not a flight simulator in a traditional sense, it's a commercial jetliner game with gameplay designed for handheld devices. endless autopilot-waiting out of the experience. Fly either manual or using autopilot, follow ATC's instructions. Keep your passangers filled and keep the plane clean and tidy. Quickly respond to any passanger triggering the flight attendent call. Watch out for areas of turbulence or flock of birds. The entire world with height data and satellite imagery. All major airports and runways. Air Traffic Controllers for all countries helping you navigating to your destination. 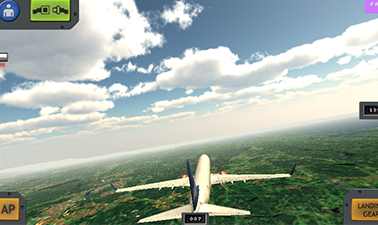 Realtime real world weather updating while flying. ● All major airports available as departure or destination. Everything in your mobile phone for offline gaming! 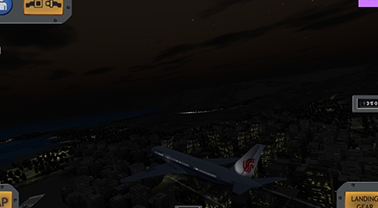 ● Air Traffic Controller guides you exactly how to fly - spoken and text. For all airports and center controllers. ● Weather settings for offline gaming. ● Time settings with ability to sync to device clock. 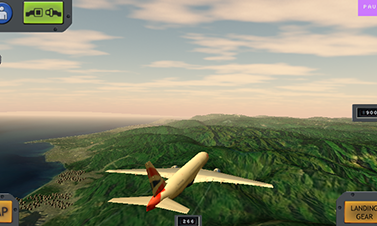 ● Flight attendant gameplay while flying. 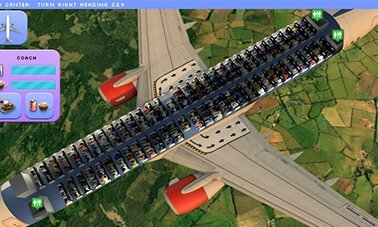 ● Easy to use instrument landing system.